Ian Bird – tenor, alto sax; John Curtis – trumpet; Ray Shea – piano; Daryl Runswick – bass; Tim Woolley – drums. Recorded at Tony Pike Music Studios, Putney, London UK released March 1968. For some reason John Curtis has named himself John Trelawney (brackets, Curtis). Trelawney is a habitational surname of Cornish origin, meaning “a person from a town with a church”. (Wiki) I guess that would account for most British towns, so it’s the Cornish angle that intrigues me. Cornwall is probably best known as the setting of the legend of King Arthur, Merlin, and the sword Excalibur, colourful stories sponsored by the Cornish Tourist Board. I went to Cornwall once. It’s very big, and a very long way from “civilisation” (London). 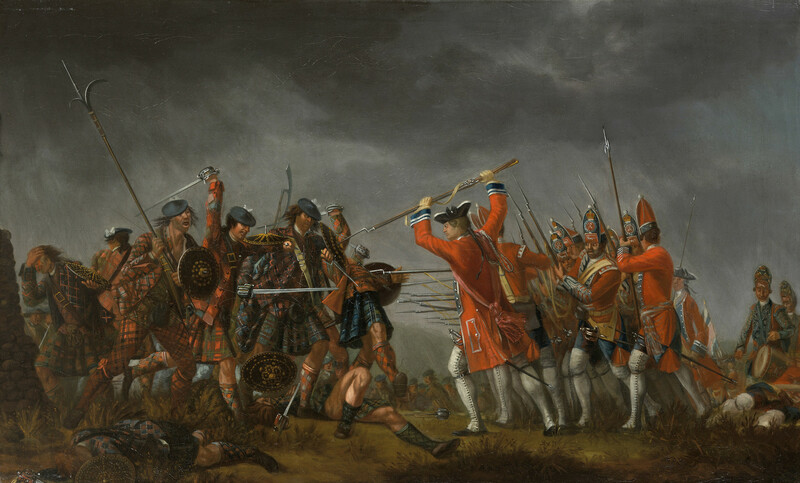 It is even further away from the Scottish Highlands, where Curtis pitches his opening piece, Tartan Reign. Or I may be completely of off-track, by around 500 miles. 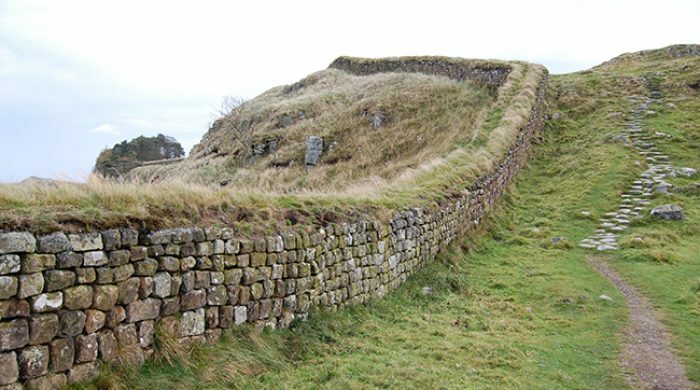 The English had trouble with it’s northern border for centuries, but thanks to Roman Emperor Hadrian (117 AD), England had a wall, the north-west frontier of the Roman empire for nearly 300 years, a World Heritage Site since 1987. No criticism of my beloved Italy, Emperor Hadrian or the Roman Empire, but as walls go, it’s not much of one. I could jump that, even after several large Negronis. This was a very young British jazz band, trying its hardest to graft new melody backbone into the much-loved modern jazz format. As with their second album, Needs B, the melodic strengths are star of the show. All the tracks have ear-worm qualities and I was torn on the selection choice, they are all good, and some more polished than my final choice, but I like the scale of ambition of the Curtis composition, which kicks off with some Highland Fling theatrics, but soon shifts gear into a groove. I swear the tune is the hook-line used in The Stranglers peon to heroin, “Golden Brown”, a long asymmetrical riff with an odd metre. Coincidence, I’m sure. I’ve been listening closely to the two-part harmonies of the trumpet (Curtis) and the tenor (Bird) on both these albums.. The two of them work beautifully together. Bird plays his part fairly straight, while Curtis embellishes his part with little flourishes and grace-notes, which enriches the piece without losing the direction of the melody. Bird Curtis were in truth not as polished as big-name American line-ups, but had a sparkle of quirky originality which I warm to, and proof of the pudding, it goes back onto the turntable again and again. Unusual for a 1967 recording to be only in mono, and such a limited pressing of the original, fewer than 100 it is said. A little further research suggests a possible reason why. 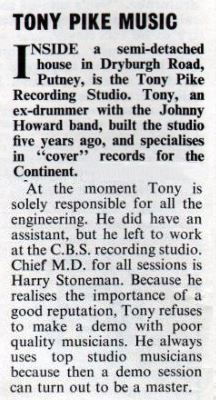 Tony Pike Music, according to Beat Instrumental magazine (I remember reading that!) May 1967 edition. The Jazzaggression release is a reissue of the original Tony Pike Music pressing, below. I occasionally drive through Putney, which like most of London’s Thames-side communities such as Kingston and Teddington are now grotesquely over-developed, with egg-box apartment blocks for young urban professionals “Simon and Sue”, media types and lawyers, desperate for a “river view” and more important, neighbours from their same privileged demographic. Oh, the children’s parties…uhh. The Bird Curtis Quintet hail from a previous era, before Generation Spotify bearded-ones with their gym-fit wives moved in. Barnes and Blackheath were where the young grew up suffocated by their parent’s bourgeoise tedium and took up instruments, taught themselves to play, formed bands, perhaps listening to jazz, R&B, frequenting essential pub venues in Barnes, Isleworth, Blackheath, even Croydon. 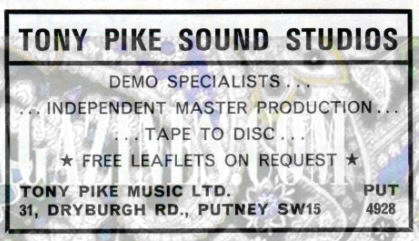 My impression, growing up in suburban London in the 50s and 60s, was that music thrived in the suburbs, supplementing the Soho hard-core venues, but the suburbs were the petri-dish in which bands were grown. Near where I used to live was The Crawdaddy Club, Richmond, and Eel Pie Island by the Thames at Twickenham, birthplace of the British Blues Boom: Alexis Korner, Long John Baldry, Chris Farlowe and the Thunderbirds, and The Yardbirds, the British Blues Boom. British Jazz may have been abandoning its American roots, but in this genre, young Brits embraced that quintessentially American music, The Blues. When I visit a London suburban jazz gig today, like The Oval in Croydon, I have to say, the audience tends towards an older demographic, equipped with a bus pass in one hand and a pint in the other. 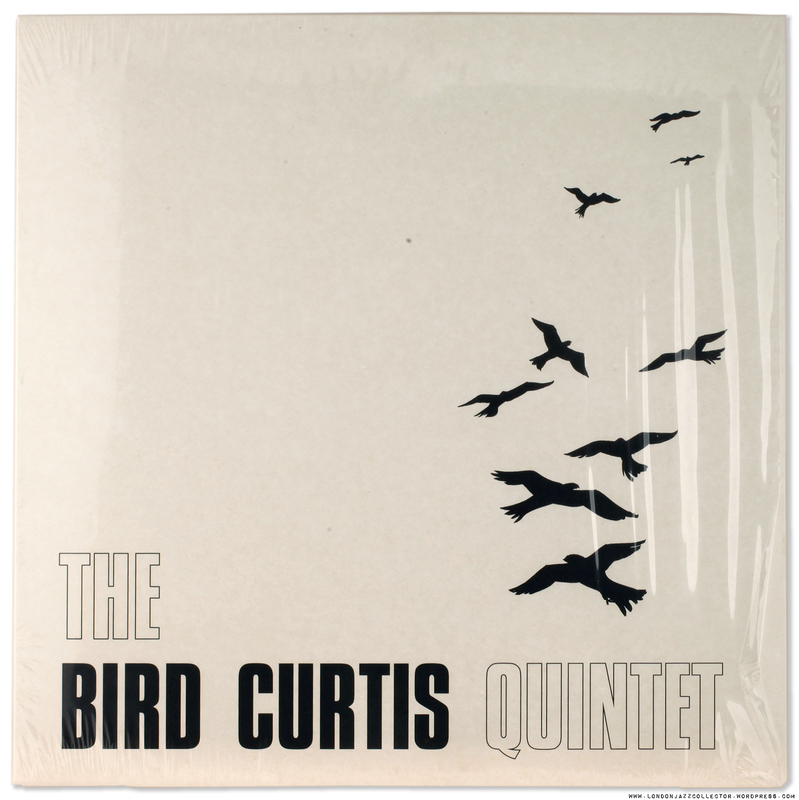 If only there had been more jazz enthusiasts around back in those golden years, Bird Curtis Quintet might have deservedly topped the LP Charts along side Carr Rendell. Expatriate American jazz artists might have relocated to London instead of Paris and Copenhagen, and the music world may have evolved along a different path. But of course it didn’t. However this is going to be the best year ever, for everything, I just know it. I’m a glass half-full guy, possibly even more full. For starters, our friends at Music Matters Jazz have come out with new super quiet vinyl technical development. You have to not hear this. This entry was posted in Bird Curtis Quintet and tagged British Jazz 1962 - 1972, Ian Bird, Jazzaggression Records, John Trelawney Curtis, Tony Pike Music by LondonJazzCollector. Bookmark the permalink. Funny you mention Cornwall, as in a Jazz context I always think of The Alan Davie Music Workshop which was by coincidence also recorded in mono as late as 1970 and pressed in an even smaller quantity if only by one copy. 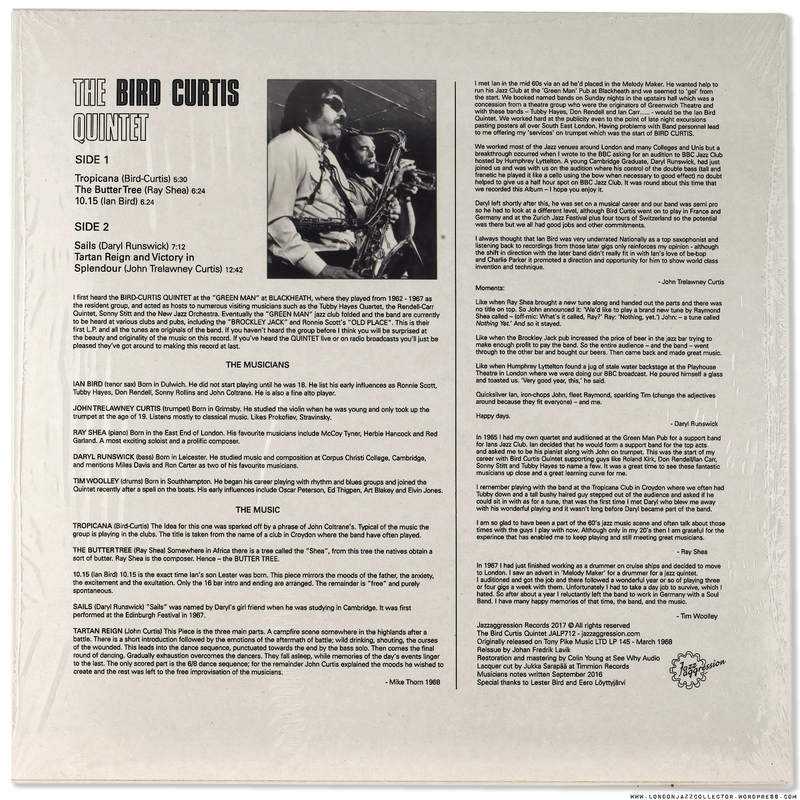 I guess the independent UK Jazz scene in the late sixties/early seventies was such that selling 100 copies at gigs was about the best that could be hoped for, anyway I’ve ordered the Bird Curtis records at a very reasonable cost from Honest Jon’s and look forward to playing them. Alan Davie vinyl reissues would also be welcome as I only have the first LP, I’m surprised nobody has done so already as they seem an obvious choice. As they say, good fences make good neighbors. I just ordered one of the new Music Matters LPs yesterday. Looking forward to not hearing it. Thought Music Matters had released their last Blue Note, so it’s nice that they have put out another 12 reissues. Andrew, Are you being serious or cheeky re MusicMatters SRX? Didn’t know you dipped your toe in repress waters. Music Matters Jazz 33rpm are in my view the best Blue Note modern reissues. However in my limited experience, where I have an original press and MM33, I prefer the original. Especially if mono, which MM don’t do. However we are at a point where it is difficult to justify the cost of many “originals”, so I am softening my views. As a statesider goes, whom do I lay the blame for our wall nonsense on? You are on your own with this one, we got our own problems. Brexit. Bartender, hit me again, large Negroni.